On Wednesday, May 28, over 200 folks came together to spark ideas into action at Fuel Cincinnati’s 3rd Annual “Fuel the Fire”. 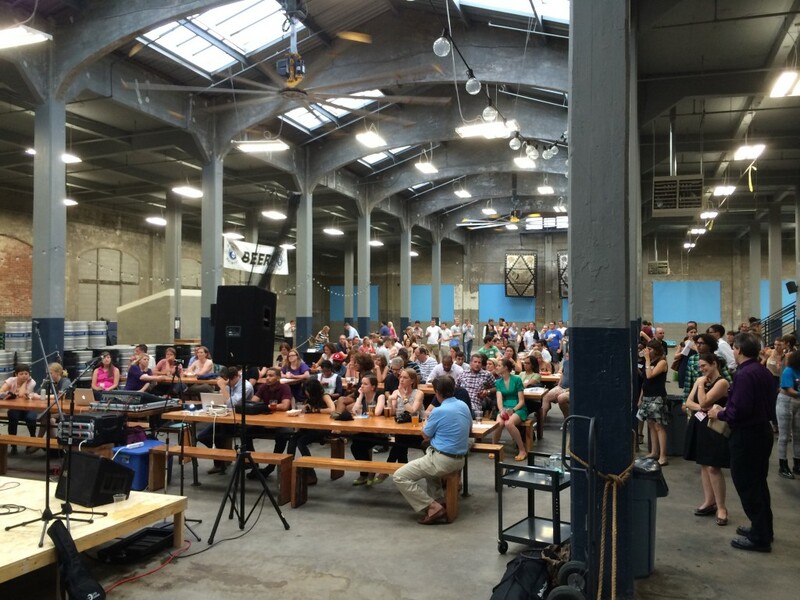 Over Rhinegeist drinks and Django Western Taco cuisine, five non-profits presenting their new ideas to a crowd in hopes of receiving the grand prize of a grant in the amount of $2,500, and second place grant of $500. Derrick Braziel and William Thomas of OTR Urban Entrepreneurs took home first place for their project which will provide entrepreneurship training for young people in the Over-the-Rhine neighborhood of Cincinnati who have great ideas but don’t always know or have the access as to where or to whom they can go to in order to turn those ideas into action. Michael Winter of Cincinnati Cares was awarded the second place for his project of helping local non-profits continue their important work of providing winter-ready clothing and items to members of the homeless community in our own Cincinnati. Other projects presented during the evening include Studio Kre8v of Elementz; Hilltop Stories; and Queen City Commit. Fuel Cincinnati is grateful for the support of Frost Brown Todd, LLC in sponsoring this event. We would also like to thank the American Sign Museum, Dewey’s Pizza, and Cura Bella Salon for donating door prizes, and Mary Kenkel for providing music throughout the evening. Fuel Cincinnati® is a program of Give Back Cincinnati. To apply for a grant, visit our application page.